Saudi Arabia sent a two-man “clean-up team” to erase evidence of journalist Jamal Khashoggi’s killing a week after he disappeared at the Saudi consulate in Istanbul, a Turkish official has said. The official confirmed a report in Turkey’s Sabah newspaper that an 11-member Saudi team sent to Turkey for a joint investigation included experts on chemicals and toxicology who were reportedly charged with obfuscating the evidence. Turkey believed two members of the team “came to Turkey for the sole purpose of covering up evidence” before Turkish police were allowed to search the Saudi consulate, where Khashoggi was killed last month, the official said. 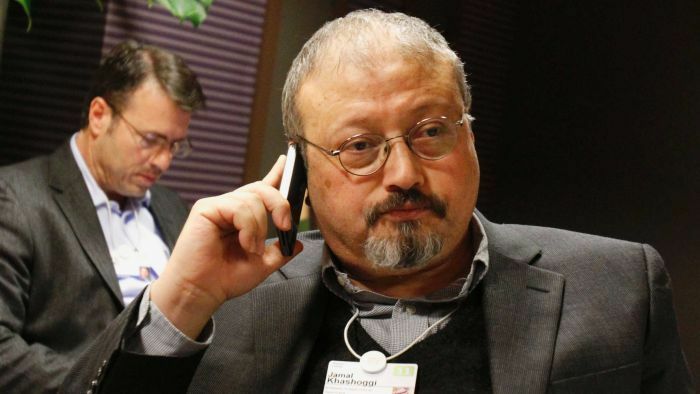 They said the fact that a clean-up team was dispatched suggested Khashoggi’s killing “was within the knowledge of top Saudi officials”. The official spoke on condition of anonymity, in line with Government rules. Turkey is seeking the extradition of 18 suspects who were detained in Saudi Arabia so they can be put on trial in Turkey. They include 15 members of an alleged Saudi “hit squad” that Turkey says was sent to Istanbul to kill the Washington Post columnist, who had written critically of Saudi Arabia’s Crown Prince Mohammed bin Salman. On Saturday, Sabah newspaper said Khashoggi’s body — which still has not been found — was dismembered and removed from the Saudi consulate in five suitcases. A senior official of Turkey’s ruling party who is a friend of Khashoggi’s suggested his body may have been dissolved in acid or other chemicals. Turkey’s Vice-President Fuat Oktay told state-run Anadolu Agency that such reports needed to be investigated. The reports of a cover-up came as Saudi Arabia defended its human rights record at the United Nations and pledged to prosecute those responsible for the killing of Khashoggi. Bandar Al Aiban, the head of the Saudi Government delegation at the first UN review of the kingdom’s record in five years, heard calls from more than 40 nations for a credible investigation into the killing and for the protection of critics of the Government. The US, a major ally of the kingdom, was granted observer status especially for the hearing, having quit the 47-member forum in June accusing it of bias against Israel. “We condemn this premeditated killing,” US charge d’affaires Mark Cassayre said. Australia’s ambassador Sally Mansfield described reports that the killing was pre-meditated as “deeply alarming”. Mr Aiban told the hearing that King Salman had instructed the Saudi public prosecutor to “proceed with the investigation into this case according to the applicable laws” with a view to “bringing all the perpetrators to justice”. “As regards the passing of citizen Khashoggi, our country is committed to carrying out a fair investigation and all persons involved with that crime will be prosecuted in the justice system,” he said. In the remarks, Mr Aiban gave no details on the status or whereabouts of the 18 Saudi nationals detained in connection with the case. Saudi officials initially insisted Khashoggi had left the consulate, then said he died in an unplanned “rogue operation”. During the hearing, France’s ambassador Francois Rivasseau called on Saudi Arabia to “immediately halt imprisonment and arbitrary arrests” of journalists and activists, and to guarantee freedom of religion. Mr Aiban, who is president of the official Human Rights Commission of Saudi Arabia, said the kingdom was constantly striving to promote and protect human rights “driven by the honourable principles and provisions of Islamic sharia and the traditional values of our society”. “The kingdom has spared no effort in combating and criminalising criminal conduct that could undermine, threaten or violate human rights, notably extremism, terrorism and corruption, and illustrating the contradiction between these acts and the principles of Islamic sharia,” he said.